Leading Restaurant furniture distributor helps Pittsburgh Thai restaurant with its grand opening by supplying it tables, US made restaurant booths and solid wood restaurant chairs. Leading commercial furniture distributor, Restaurant Furniture.net recently teamed up with Thai Hana in Pittsburg, Pennsylvania to help with their grand opening by supplying them with table tops, US made solid wood restaurant chairs and dining booths. Thai Hana serves authentic Thai cuisine with popular dishes such as pad Thai, California rolls, crab angel and crispy rolls. 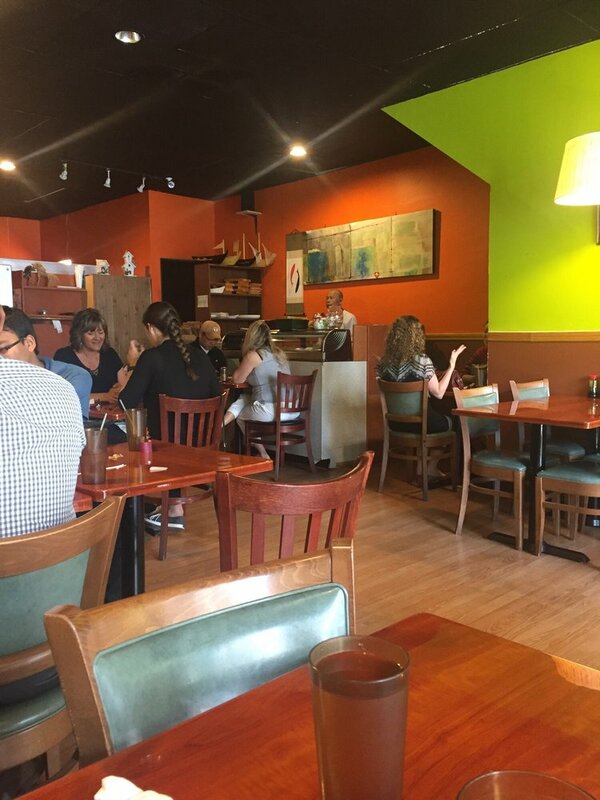 The owner of Thai Hana needed high quality commercial seating that would look great and be able to withstand the high traffic that the restaurant experiences on a daily basis. He turned to Restaurant Furniture.net because of their reputation for premium quality and strong built furniture at affordable prices. Restaurant Furniture.net supplied Thai Hana with high quality, table tops, bases, restaurant chairs and booths at competitive prices that fit well within his budget. For seating he decided to go with classic Restaurant Furniture.net’s Premium US Made Vertical Slat Wood Chair in mahogany finish with padded black vinyl seats. Like with most of Restaurant Furniture. net’s wood furniture, the Vertical Slat Wood Chairs and Bar Stools are made in the USA of solid wood from responsibly harvested wood. The wood bar stools and chairs are available in 5 standard finishes: mahogany, walnut, natural, cherry and dark mahogany. “The Vertical Slat Wood Chairs were just what the owner wanted to complete the classic look she was going for” said David M., salesperson for Restaurant Furniture.net. The Vertical Slat Wood Chair sells for $78. A matching Premium US Made Vertical Slat Wood Bar Stool is also available and sells for $91. Restaurant Furniture.net also makes custom finishes for an additional charge. Customers also have the choice of solid wood seats or vinyl padded seats, which are made in the U.S.A. are available in vinyl or fabric in a wide selection of colors and patterns and can also be custom made out of any material to the customer’s specifications. A custom finish can be made for an additional charge. For dining booths he decided to go with Restaurant Furniture.net’s Standard Single and Double Quick Ship Booths in black vinyl. The restaurant booths are made in the USA and prices start at only $188. The booths are reputed for their excellent craftsmanship and can be delivered in 7-14 days. The booths can also be custom made in any size or shape and in any material. For tables, Thai Hana purchased Resin Table Tops in dark mahogany finish. Resin Table Tops are popular because they are scratch and stain resistant. They come on dark mahogany, walnut cherry and mahogany & cherry finishes. The table tops come in many different sizes. Prices for the Resin Table Top start at $40. Thai Hana is located at 3608 Fifth Ave. in Pittsburgh, PA. They can be contacted at: (412) 621-1100.